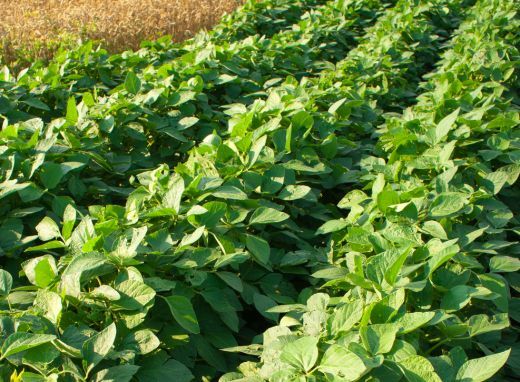 AGS Woodruff is resistant to southern root knot nematode, soybean cyst nematode race 3 and race 9, stem cancer, and frogeye leaf spot. It is susceptible to peanut root knot nematode and most other races of soybean cyst nematode. AGS Woodruff was developed by the Soybean Improvement Center at the University of Georgia Agricultural Experiment Station in Athens, Ga. AGS Woodruff is a soybean variety that is protected under the Plant Variety Protection Act, which means it can only be sold by individuals licensed by the University of Georgia Research Foundation (UGARF) and Georgia Seed Development (GSD). This patented variety is marketed exclusively by AgSouth Genetics LLC; farmers may not save seed.